This is not just a holiday cottage. It's a spa cottage. The cottage includes a spa area for your personal use. The spa area has a superb hot tub, relaxation room and contemporary log cabin sauna. 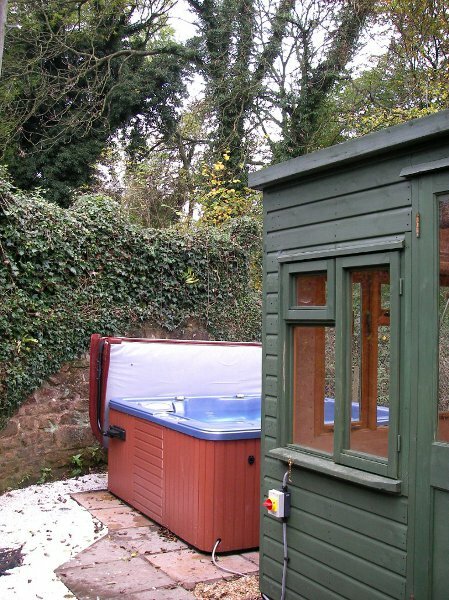 Our holiday cottage has an exhilarating, large hot tub at the end of the private garden. It's in a totally secluded spot where there's a refreshing sense of being in the midst of Forest of Dean woodland. The hot tub is available for your holiday break at any time of the year. Obviously it's wonderful in the Summer but, actually, Winter is a superb time to enjoy it. Imagine soaking in a hot tub on a crisp winter evening with a starry sky! 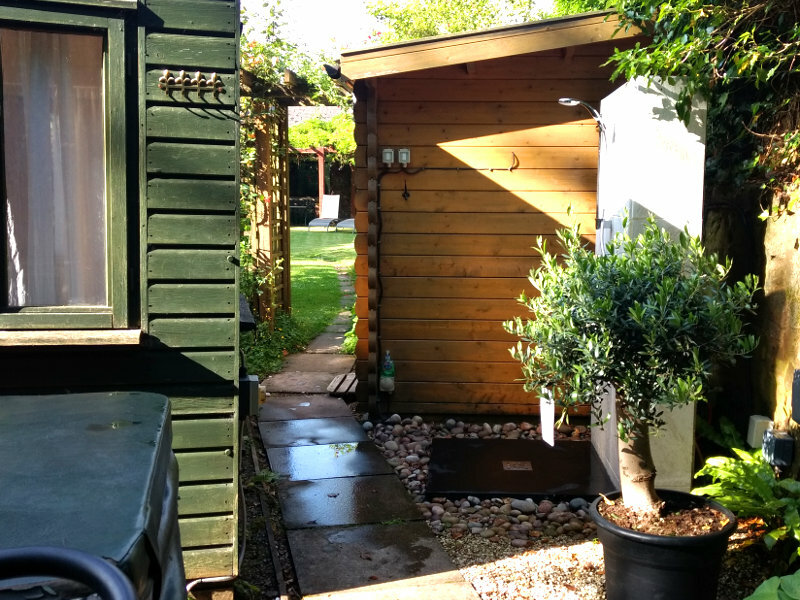 Our holiday cottage has a contemporary login cabin sauna in close proximity to the hot tub and relaxation room. 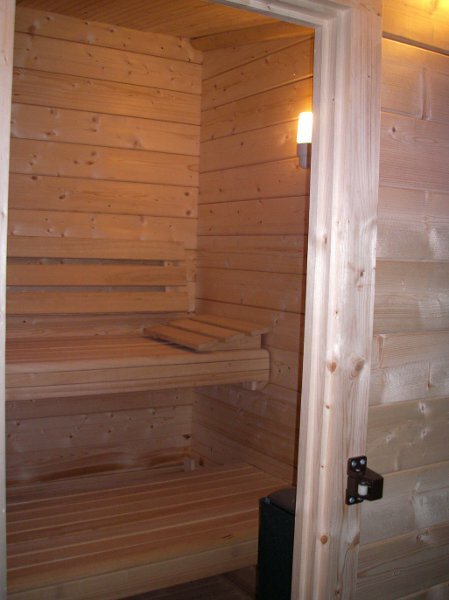 It provides you with a superb Finish-style sauna. The hot tub and sauna are easy to use. We provide full instructions both on how to operate them and how to get them most out of using them. Both hot tub and sauna are available throughout the year. The hot tub water is kept in tip top condition. We use Aquablanc for maintaining clean, clear and pure water. Our experience shows it to give consistently good results. It not only purifies and cleans the water but it also avoids the harshness of some other cleansing methods. The hot tub and sauna is included in the cost of your stay. We think you'll find this adds a special touch to your stay at our holiday hideaway, Pike House Cottage. 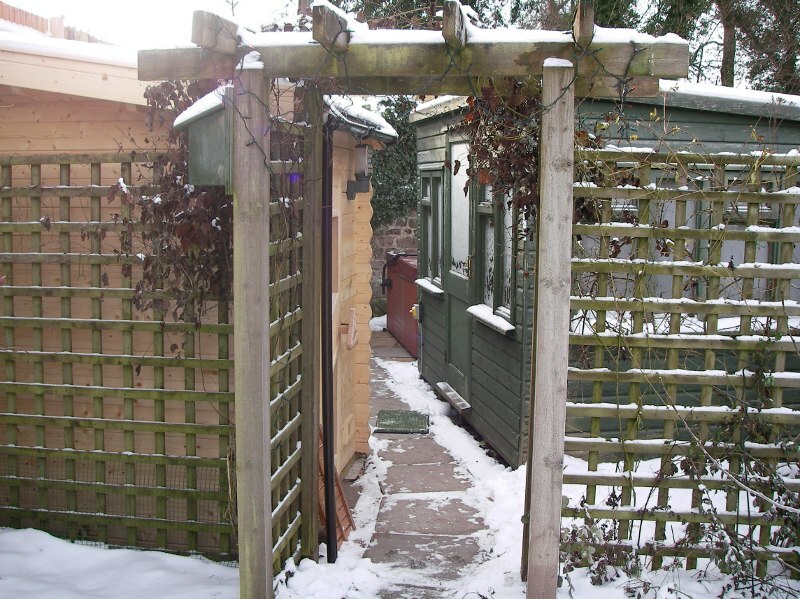 Pike House Cottage can be for you an ideal holiday cottage for your self-catering accommodation stay in the Forest of Dean, Gloucestershire, UK. We have close link with a local complementary therapist who can visit you at our holiday cottage. She can provide a range of treatments including Swedish Massage and Hot Stone Treatment. You can make a booking directly with her before your stay. The cost is around £35 per person for a one hour treatment such as a Swedish, Chinese remedial or relaxation massage and around £45 for a hot stone treatment. If you let us know you are interested in a treatment when you book, we will put you in touch with her so you can arrange an appointment to coincide with your stay. Let us know if you are interested in this.